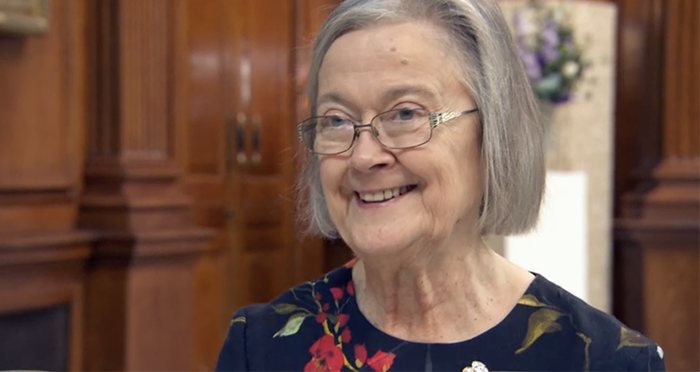 Lady Hale, the president of the Supreme Court, made a brief, but enjoyable, appearance on BBC cooking show MasterChef last night, where she sampled fish dishes alongside a number of other female VIPs. The theme of the semi-final programme was the celebration of female suffrage. In 1918, so 100 years ago, the Representation of the People Act was passed, giving some women the right to vote. 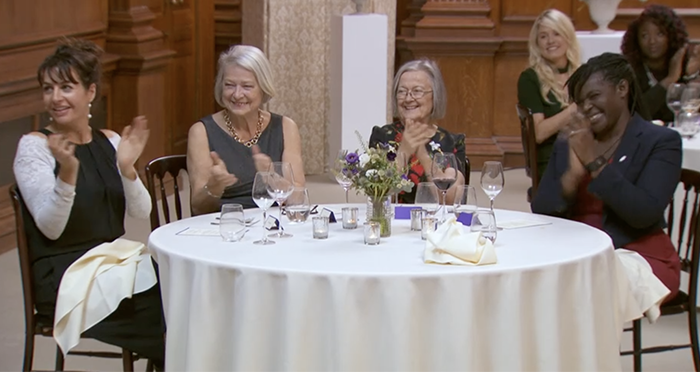 As for the lunchtime service, the judicial head honcho sat between the former BBC chief news correspondent Kate Adie and space scientist Maggie-Aderin Pocock. Dishes served included spicy chicken bites, chicken filo pastries, halibut, and lobster crepes. As for desserts, we saw butter toast ice cream, caramel-coated hazelnuts, meringues, lemon curd and panna cotta. Also, we saw her clapping at the end of the challenge, so that’s a good sign. This is far from the first time a lawyer has appeared on MasterChef. 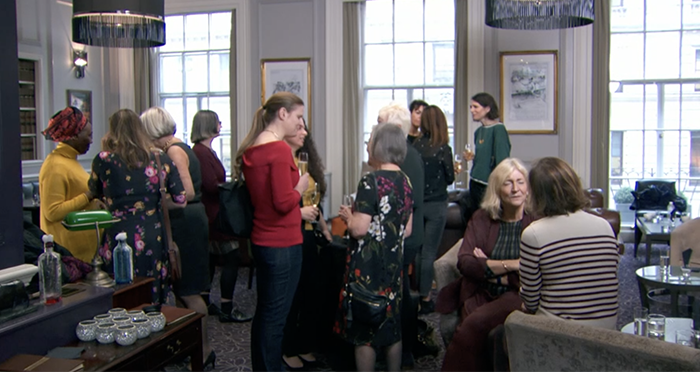 One episode in 2015 was set in the Law Society’s Chancery Lane HQ. Then, the five contestants were tasked with producing three courses for Andrew Caplen, who was the Law Society’s president at the time. He was joined on the show by the likes of Catherine Dixon, the then Society’s chief executive, and Max Harris, the then chairman of the Junior Lawyers Division. Three years before that, the glorious Middle Temple played backdrop to the BBC cooking competition. The culinary hopefuls were tasked with feeding 230 hungry barristers, and were met with praise including: “it was delicious” and “stellar”. Unfortunately, one judge wasn’t quite so impressed, labelling the starter “too big” and sneering that there “wasn’t enough passion” in the passion fruit-flavoured dessert. “We saw her clapping….”. Gasp with excitement! Whose cheeks was she clapping? I did laugh at “Space Scientist”… that seemed a little reductive. Better than ‘space boffin’ though, surely. Another article on this? You’re the only one excited by this Katie. Is she a relation or something Katie? You barely seem to write about anything other than Lady Hale. Apart from anything else it is incredibly boring. Please, do try another subject. Thanks for that Katie, I’d never have figured that out. Who is the other woman currently sitting on the UK Supreme Court bench…? Bugger off Katie, you fascist. This is just rubbish, what does it have to do with the Law? You are just such a terrible writer Katie King. Get another job. This is a sweet, tongue in cheek article but clearly the trolls above are too simple to get that. I wouldn’t have invited Lady Hale. I would have invited Master Cook.